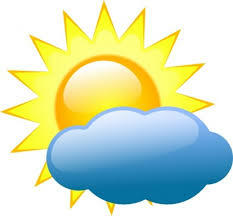 Have you ever wondered why it is sunny one day and cloudy the next? Why does it snow some days and rain on other days? In our part of the country, we have all kinds of weather and sometimes extreme weather. Extreme weather can be very dangerous and can vary from freezing temperatures to a heat wave and drought. With this research and inquiry project, you will have the chance to investigate one type of extreme weather and seek the answers to specific questions and learn other new things. What are the characteristics of the storm you are researching? What conditions are needed for the storm to form? What safety precautions can be taken before and during the storm? What damage can occur from this storm? What tools/technologies are used to track or measure this storm? What are some recent or historical storms? Find out details. Take notes so you can share this information with others! A database is a subscription paid for with money from the school, township community or a government body. There should be no advertisements to distract you, and the information is generally more reliable. ​Here are some databases that you can access through the Database page on the Brooks Crossing Weebly. For information more information about weather, visit this site. Online Magazines are available from the Online Magazines Page of the BC Weebly. Click on the words Online Magazines to go to the page.